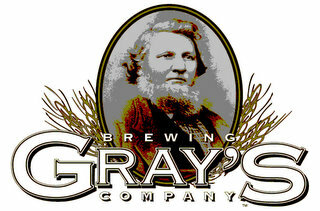 Gray Brewing Company – originally Gray’s Brewing – dates back 1856 and is in its fifth generation of family ownership. Through the years (centuries, really), Gray Brewing has both brewed specialty beers and created gourmet sodas; beer production ceased in 1912 but came back in 1994 and today Gray offers a variety of year ’round and seasonal brews. They include a Honey Ale, the state’s original honey beer; a hearty Rathskeller Amber Ale; Rock Hard REd; the “56” Oatmeal Stout, named for the year of Gray’s founding (1856); Rock Hard Red, a berry-flavored beer named in part for Rock County); the unfiltered Wisco Wheat; the Tap Joclkey Irish Stout; and the colorfully-named Irish-style Busted Knuckle. Gray’s Janesville brewery is located along historic Highway 11/Court Street on the west side of Janesville. Their Janesville Tasting Room re-opened in 2015. Hours are Friday from 4:30 to 9:00pm and Saturday from 2:00 to 7:00pm. The Growler Hour is on Saturday before tours, starting at 2pm. The “Owners Brewery Tours” take place every second Saturday of each month at 3:00pm. Tour Prices are $5 for the regular tour, and $20 for the VIP Tour, which includes the Owners Brewery Tour, unlimited samples until 4:00pm that day, and a souvenir pint glass. All ages are welcome into the Gray Brewing Tasting Room and on the Owners Brewery Tour, but you must be 21+ with a photo I.D. to enjoy alcoholic beverages. Group tours (12+) are available for reservation on non-regular Owners Brewery Tour Saturdays. Call their office at 608-754-5150 or email them for more information. In 2016, Gray Brewing expanded into the restaurant business in booming Verona just off U.S. 18/151 near Highway 69 with Gray’s Tied House, where you can try all of their beers and gourmet sodas before checking out their full menu of food… because you can’t eat on an empty stomach.